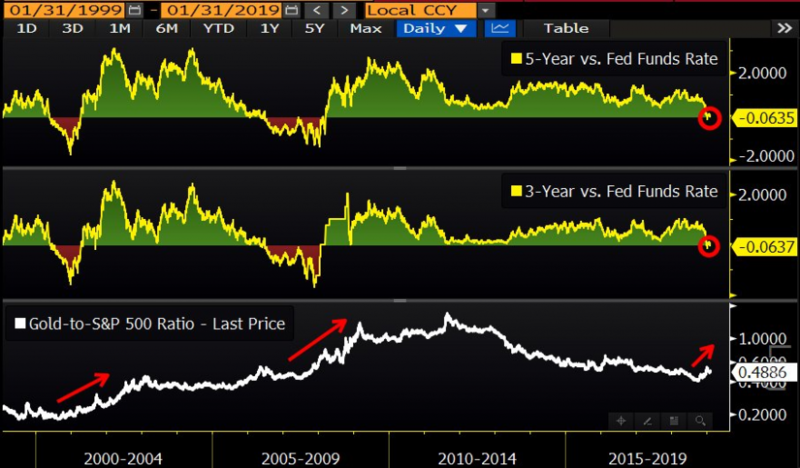 3 and 5-year yields just dipped below Fed funds rate for the first time since the global financial crisis and the tech bust. In 2000, that coincided with the market top. 2006 was at the beginning of the housing bust. The gold-to-S&P 500 ratio ripped up both times.